If the Star of Bethlehem, that "star with royal beauty bright," were to appear this Christmas, it would be obliterated in most of the world by an orange halo of glary city light. Light pollution — the artificial sky glow that dims the stars — now affects 63 percent of the world&apos;s population and 99 percent of people living in European Union and continental United States, according to some estimates. The Milky Way is not visible in most cities, much less a meteor shower, Orion&apos;s shield, or, in the biggest cities, the North Star. "The sky is fading," says a report this month in Physics Today. "... Does the vista of a star-filled night matter only to astronomers?" In Borrego Springs, population 2,500, located in the remote Anza-Borrego Desert of Southern California, it matters to the whole town. Borrego recently became only the second "International Dark Sky Community" in the world, meaning it has exceptionally starry night skies and is dedicated to keeping them that way. "We protect the desert, and now we&apos;re protectors of the sky," said Dennis Mammana, a local astronomer and photographer. "Borrego is not just a daytime place. We&apos;re a celestial preserve." A coalition of six determined people — a representative from the Palomar Observatory in northern San Diego County and five Borregans, including Mammana — worked two years to win a "Dark Sky Community" designation this summer from the International Dark-Sky Association, a Tucson-based nonprofit group. The association&apos;s 53 chapters lobby the United Nations, the U.S. Congress, the European Union, local cities, counties, states, businesses — anyone who will listen — for reductions in sky glare. "Light pollution is an environmental change that people have witnessed in their lifetimes," said Chad Moore, an association member who serves as the National Park Service night sky program manager. "Light domes from big cities can now be seen 200 miles away. These are parts of the sky that die." Dark-sky supporters argue that the natural night sky is vital for astronomers and essential for people&apos;s sense of well-being. An unpolluted night sky would obviously cut down on energy waste and global warming, and, as previously reported in Miller-McCune, could provide some health benefits, too. According to the association, the cost of wasted outdoor light in the U.S., in terms of the light that shines directly upward, is about $2 billion yearly. That wasted light has an annual carbon footprint equivalent to about 3.6 million tons of coal or 13 million barrels of oil. And that&apos;s not counting billions of dollars of additional energy squandered at parks, stadiums and office buildings where the lights stay on all night. "Borrego is a small community, but it can serve as a fine example for what other communities can do with some special effort and attention," said Scott Kardel, the coalition member from Palomar. 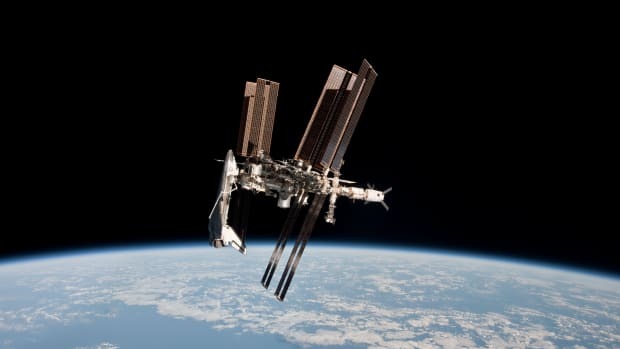 This year was the International Year of Astronomy, so named by the United Nations to mark the first use of an astronomical telescope by Galileo, 400 years ago. But the end of 2009 does not find astronomers in a celebratory mood. In the report in Physics Today, Chris Luginbuhl, an astronomer at the U.S. Naval Observatory in Arizona, Richard Wainscoat, an astronomer at the University of Hawaii and chairman of the International Astronomical Union Commission, and Connie Walker, an associate scientist at the National Optical Astronomy Observatory in Arizona, describe how the most distant objects in the sky — galaxies at the edge of the universe — are disappearing from view through the world&apos;s telescopes, blocked by intruding light from roadways, parking lots, headlights, front porches, office buildings, billboards and streetlights. "Whatever you look at in astronomy, you&apos;re piecing together a story of where we came from and who we are and how we got here," Walker said. "Without being able to see the faintest components of our universe, there&apos;s less and less we can tell about our origins." Light pollution is a result of increasing population, to be sure, but also increasing waste, the astronomers say. According to the report, the U.S. population is growing at an average rate of less than 1.5 percent per year, while artificial light is increasing at a rate of 6 percent per year. The lighting in parking lots, for example, is between five and 10 times as bright as it was 20 years ago. "Witness the amount of light commonly seen at service stations today compared with that of only a few decades ago," the report says. "... Bright light is becoming a form of advertising." As sky glow spreads, giant telescopes are being built in ever more remote corners of the Earth. Yet even in Chile, Hawaii and the Canary Islands, astronomers say, the artificial light from faraway cities threatens their work. The next stage of their retreat could be outer space, but the cost would be ... astronomical. "Awareness brings a choice," Walker said. "Hopefully, once people understand, they will choose to do what they can to promote dark skies." 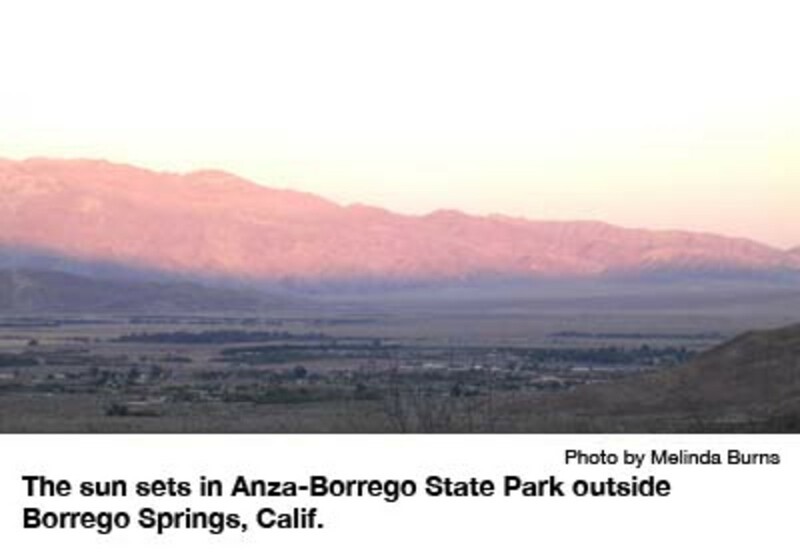 Borrego Springs, surrounded by 1,200 square miles of Anza-Borrego Desert State Park, the largest state park in the continental U.S., has long been a haven for astronomers and amateur stargazers. There are only 25 streetlights in the downtown and none in residential neighborhoods. Even the locals sometimes lose their way on the dark side roads. There are no fast-food chains or big-box stores in Borrego, and the nearest traffic signal is 50 miles away. At night, coyotes can be heard howling in the brush. In this kind of environment, it&apos;s not surprising that Sally Theriault, sitting bundled up in her back yard on the night of Dec. 13, saw 50 shooting stars as she watched the Geminid meteor shower. "It&apos;s an emotional thing for me," said Theriault, a coalition member. "I like thinking about the fact that people for centuries have been looking at the stars." Borrego has long been largely in compliance with San Diego County&apos;s stringent zoning ordinances for outdoor lighting, standards meant to darken the night skies in unincorporated areas for Palomar and Mount Laguna observatories. The rules apply to all outdoor lighting installed after Jan. 1, 1985. Most cities in the county, however, do not fully meet these standards, if they have a lighting code at all. As a result, astronomers at Palomar can no longer see far-off galaxies. "Code enforcement on outdoor lighting at night tends to be way down on the list, certainly below noise pollution," Kardel said. "As the sky gets brighter, you can&apos;t look deeper into the universe. Palomar is not as good as it once was." 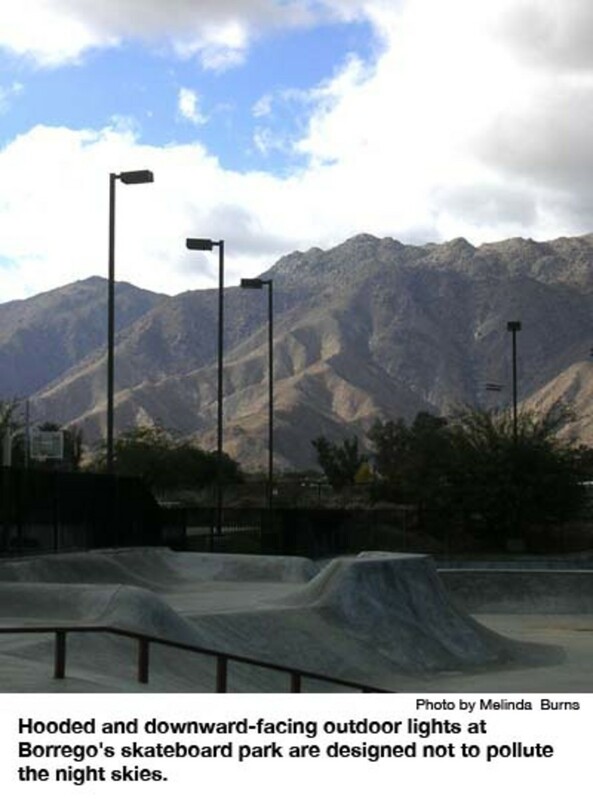 In Borrego, the coalition persuaded clubs, schools, malls and government agencies to retrofit, replace or simply turn off a number of bad lights. Thus, the county put a hood on a glaring streetlight so that it would shine solely downwards; the Boys and Girls Club purchased shielded lighting for its new skateboard park; the high school turned off some bright lights on the side of its main building; the mall put its marquee spotlights on a timer; and a housing tract switched to 15-watt bulbs in some of its outdoor fixtures. The brightest spot in town is the gas station, but there&apos;s a roof over its fluorescent lights. A number of "glare bombs" remain. Touring the town this month, coalition member Sam Webb pointed out some unshielded lighting in a horse corral and tennis court, a couple of blazing lights on someone&apos;s driveway, and a brightly lit Wells Fargo ATM at the entrance to town. "Does it really have to be that bright?" he asked. The crime rate in Borrego is low, amounting to no more than a couple of thefts and trespassing incidents every few months. Bright lights do not necessarily translate into safer neighborhoods, dark-sky advocates say; lights can attract as well as deter criminals. The coalition wants to run a periodic column in the town&apos;s paper, the Borrego Sun, on "light trespass," that is, the light that shines from a neighboring property into someone else&apos;s bedroom and back yard. It could mean asking neighbors to put their outdoor lights on a motion sensor, aim them directly at the ground, change the bulbs to a lower wattage, replace unshielded fixtures or turn off the lights at a decent hour. "It isn&apos;t that things have to be totally dark," said Betsy Knaack, executive director of the Anza-Borrego Desert Natural History Association and a coalition member. "That really isn&apos;t the point. It&apos;s about how to have dark skies even where people are living." It may be good for business, too. Even in the best of times, 11 percent of Borrego&apos;s population was living below the poverty line, and the recession has hit the town hard. Borrego counts on visitors to fill 350 hotel rooms during the annual desert wildflower bloom. It needs golfers to patronize six year-round golf courses. And it depends on retirees who flee to the warm climate every winter from Canada, New York and other points north. According to the chamber of commerce, the population of Borrego normally swells to 8,000, beginning this time of year. Might Dark Sky status help keep the numbers up? "I&apos;m sure there is a lot of hope that it will put Borrego Springs on the map," Theriault said. "If you&apos;re looking for dark skies, you can stay in relative comfort and look at stars here." This November, the Palm Canyon Resort enjoyed one of the best turnouts ever for "Nightfall," an annual star expo produced by the Riverside Telescope Makers Conference. About 250 advanced amateur astronomers and their friends showed up for the three-night event, organizers said. 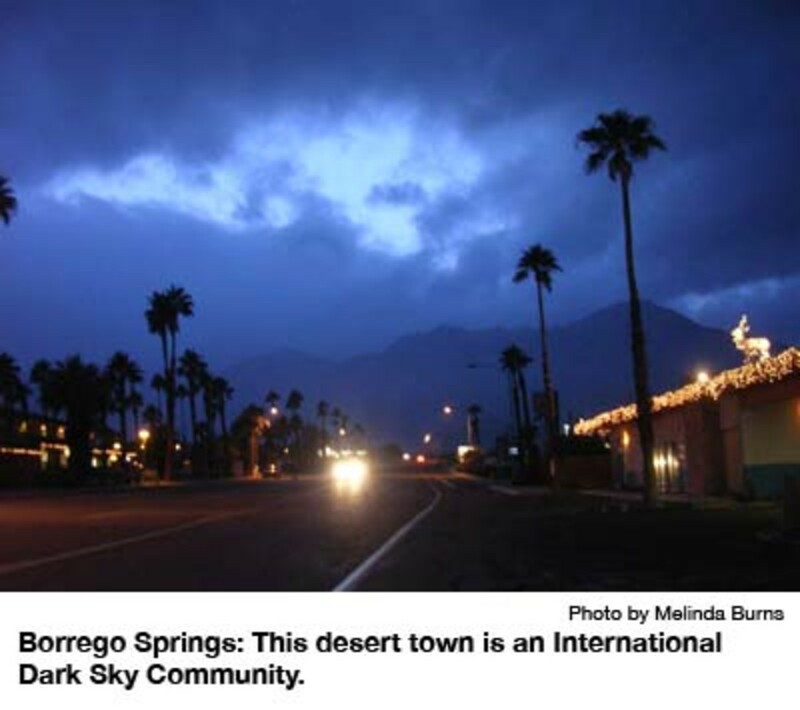 At the entrance to town, the Springs at Borrego RV Resort and Golf Course also is hoping to attract dark-sky guests. General Manager Dan Wright recently fixed dozens of wall sconces and landscape lights so that they would shine down, not up, and he installed a telescope pad and a telescope for public use. The Springs was recently honored as the National Association of RV Parks and Campgrounds Small Park of the Year. "In order to win the award, we had to tell a story, and we stressed our star parties and astronomy park," Wright said. In England, a world leader in the fight against light pollution, outdoor lighting can be treated as a nuisance under the country&apos;s Environmental Protection Act. Groups such as the British Astronomical Association and the Campaign to Protect Rural England have persuaded some cities to correct over-illumination from streetlights and space them further apart. Last month, the Royal Commission on Environmental Pollution, an independent advisory body to the British Queen and Parliament, published a report last month on light pollution, urging the government to recognize artificial light in the wrong place or at the wrong time as a pollutant that can harm the natural environment. "There are around 7.5 million road lights in the U.K.," said Sir John Lawton, chairman of the commission. "Over 2 million are nearly 30 years old and will therefore need to be replaced in the next couple of years. This presents a real opportunity for local authorities to think about minimizing the negative impacts of stray light, for the benefit of both nature and the general public." Of the two official International Dark Sky communities in the world, Borregans, with only 25 streetlights, now boast that they are the darker one. Flagstaff, Ariz., a city near three observatories, was the first to win the designation, back in 2001, but it has a population of more than 50,000. There are also five International Dark Sky parks and a Dark Sky Reserve. They include the Natural Bridges National Monument in Utah, Cherry Springs State Park in Pennsylvania, and, in a provisional designation, the Geauga Park District in Ohio. The Dark-Sky Association is reviewing applications from Goldendale Observatory State Park in northern Washington and Clayton Lake State Park in northern New Mexico. The Lava Beds National Monument and Death Valley National Park are in the early stages of trying to qualify, too. In the meantime, the Park Service has surveyed 76 national parks to establish their "light footprint." "What&apos;s most annoying to people camping in a beautiful setting is the restroom light blaring all night long," said Moore, who conducted the study. "We can&apos;t pollute our own parks. The most important thing is to use light only when and where it is needed." There are presently no applications pending from prospective Dark Sky communities, said Kim Patten, the association&apos;s programs director. Beyond strict lighting ordinances and enforcement, she said, applicants must show that they have broad support for dark skies and are educating the public about light pollution. "It&apos;s a fairly rigorous program," Patten said. "We want it to continue beyond the original award." A city of any size could qualify if it took the necessary steps, she said: It doesn&apos;t have to be small like Borrego or located in the desert. "Even San Diego could apply," Patten said.